Tiles can be expensive but you can add many effects with just tiling areas like around your basin or shower. If I work on a budget design, I always try focus to cover the areas that need waterproofing, so around bath, shower or basin. You still need to protect rest of your walls, but you can just add white square tiles that work just perfectly fine with marble. Also, you don’t need to go for square or rectangular, as there are so many ways to keep your bathroom unique like adding hexagonal or fish scale mosaics! Marble and copper with these tiles will be amazing combination! Grout. When you renovating or designing your bathroom on a budget, sometimes marble tiles are not an option. Amazing idea to steal is to use metallic grout! You can use any tiles, that are just either marble or simple white and instead of using white or traditional black grout, use metallic one! Definitely a wow effect! Shower curtain. Honestly shower curtain can add so much to your bathroom. You can pick one from Primark on a budget but also think of shower rail or hooks, these little accessories are what make things tick! Mixer taps and shower heads. Simply swap your boring chrome for a copper one! You can find so many great deals on copper paints but if you can’t afford one go for metallic spray generic topamax weight gain paint instead. Simply unscrew your old ones, repaint and let to dry for at least 48hours. Just remember to get a rust and water resistant so it will last longer. Mirrors. We all need a mirror in a bathroom so let’s pick a nice copper framed one. You will be surprised how much this can change the bathroom look! Shelving. How about a marble shelf on white tiles? Even if you can’t afford marble tiles, then adding this little extra bit will only obviously add extra storage but also it will just complete the look! Towels. If you renting and changing tiles is an absolutely a no no option, then accessories is your thing. 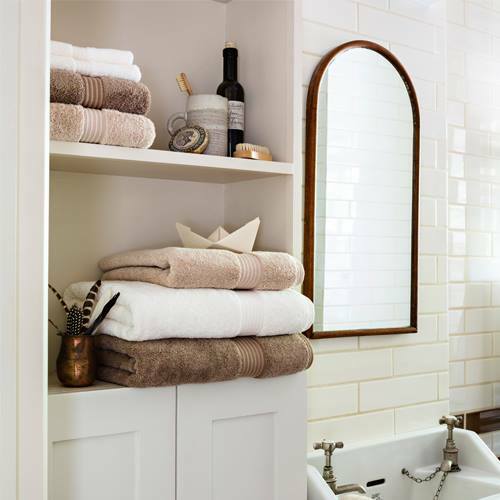 Marble towels can add so much to the bathroom feeling, but if you already have marble tiles then switch to just nice pastel shades and soft warm colours as you don’t want to marble-overdue! I adore Christy towels! I was gifted one in a goodie bag from Amara and since then I am dying to get one of the pastels sets! So soft it’s unreal! Ventilation. You don’t want your pretty tiles to go mouldy! Investing in a proper window if you are renovating is a must, as no matter how quirky or funky your design is, if you do not have a proper quality window, then over the years your bathroom will need another renovation! Many people think that windows are just a boring subject, not if we talking about Network VEKA! All Members of Network VEKA need to go through a very strict examination, and they have to agree to continuous training before they can join the Network VEKA which means that you are in completely safe hand! Network VEKA recently collaborated with many bloggers, creating many amazing inspirations. So, if you need a new window or bathroom door, they offer not only advice on that but also their website is full of ideas! Network VEKA Lookbook offers variety advice on trends, styles and top tips so if you after your’re bathroom windows, you know where to go! Also, you can choose your hardware to match your perfect bathroom look so your door or window handles can match perfectly the rest of the style! Bath. Well, if you can afford a copper bath which prices start from 5K.. go for it but who can? ;) Alternatively, just pick a nice shaped bath in simple white as it will just great. Another option is to go for something extra special like chromotherapy or hydrovescent spa baths! Companies like PremierBathrooms.co.uk offer these even for people with limited mobility and those who requires lower entry baths. These makes me extremely happy! Back in my university days, I have designed a bathroom for a person with limited mobility and I seriously struggled to find products that will not only be practical but also can improve the wellbeing and overall relaxing bathing experience. I will always be supporting companies like that, no matter what. My love for Instax Mini 8 Fujifilm! All the things I would, and I wouldn’t miss in life. Wow I am loving the sleek bathroom interiors here. So pretty. I love a bit of rose gold but I'm not sure I'd want it in my bathroom! I do however adore the marble touches very sleek!